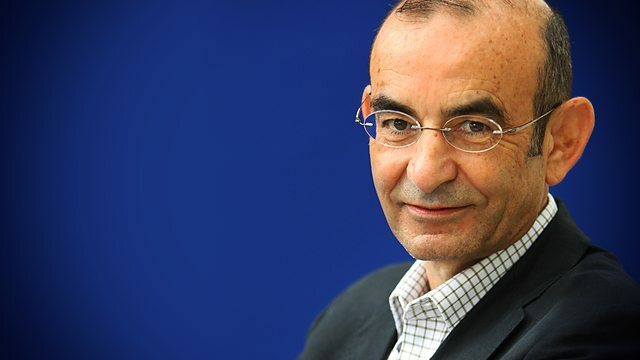 Raja Shehadeh, the human rights lawyer and writer who founded the human rights organization Al-Haq, yesterday appeared on BBC radio 4’s ‘Desert Island Discs’. Just before he tells Kirsty Young his final choice of disc (about 38 minutes in) he makes an important point about the importance of humanizing the conflict and generating empathy between different people. A point that should be axiomatic but is so often ignored and/or forgotten. As with all things Israel/Palestine related I need to cover myself and say that I don’t know enough about Raja to make any sweeping generalizations about him. On the occasions though that I have read his work or heard him speak he has always come across as passionate, articulate and most importantly willing to build rather than burn bridges. This for me as a human rights activist is incredibly important. As an aspiring writer though I have also been taken aback by the beauty in which he forms his words. To my left at the perfectly still waters of the [Dead] Sea, transformed by the sun into a luminous platinum sheet, and to my right at the formidable wall of incandescent rock along which we were travelling, towering steeply, challengingly, seemingly an impenetrable line of defence, a mighty gateway into another world. This imagery resonates powerfully with my own memories of walking in the West Bank. This book, Palestinian Walks, is itself a combination of his human rights activism and his commitment to personalize the conflict that is intertwined in some truly beautiful adjectives. It is a deeply personal reflection of walking, or not being able to walk, in the West Bank. I think this is why I was drawn to the Desert Island Discs programme, because it is once again a deeply personal reflection on the conflict and the human rights abuses that occur there.